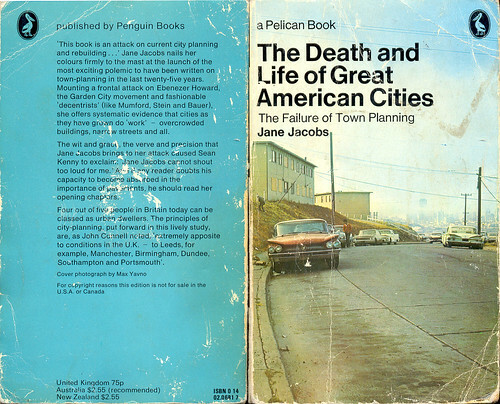 Jane was a champion of diversity, a diversity of buildings, residence, businesses and other nonresidential uses and different people of different ages in an area at different times of every day. She gave us eyes on the street. Her philosophy was a neighbourhood’s safe, active, vibrant and economically successful when there are people there all day doing different things, from all backgrounds in life, and from all cultures. Jane was way ahead of her time. 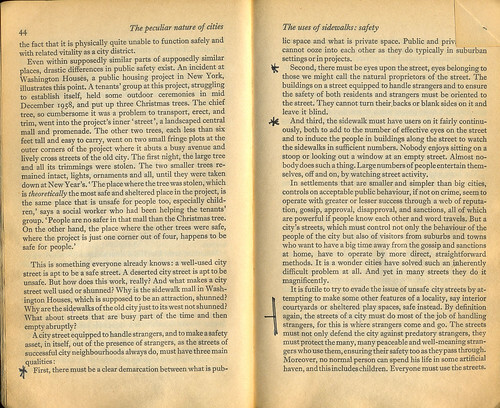 She saw cities, as in her words, “organic, spontaneous and untidy,” and viewed the mingling of city uses and users as crucial to economic and urban development, and by understanding and dissecting how cities and their economies emerge and grow, she cast new light on the nature of local economies and communities. Related entry: Here and There.